Original Paintings from this Gallery are $100 plus $10 Priority Shipping (included in the item price shown). Each painting is created on a gallery profile canvas measuring 8" x 8" by 1.5" in depth and is signed by the artist. 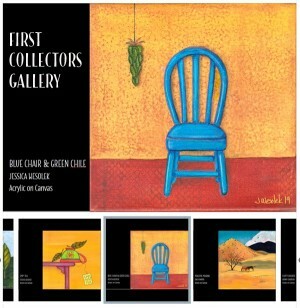 To purchase, please type the painting Title and Artist name in the Item Box. To purchase more than one painting, change the quantity number and add additional Titles with Artist's name. This Cart is open in a separate window, so you should be able to reference the gallery page while shopping to find titles.